The Board of Governors of California Community Colleges announced last Friday that the accreditation of Compton College has been restored. 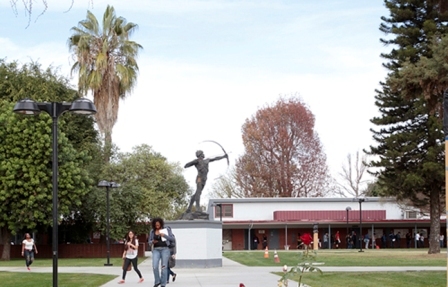 The Accrediting Commission for Community and Junior Colleges granted initial accreditation status to Compton College on Wednesday June 7, according to a statement released in Sacramento. “This is an extraordinary ­accomplishment and joyous moment for the community of Compton and for the California Community Colleges system,” said Board of Governors President Cecilia V. Estolano. A special trustee was appointed by the state to oversee the district 10 years ago after administrative failures and fraud led to the revocation of Compton College’s accreditation, according to the statement. “We look forward to continuing to provide comprehensive educational programs and support services to our diverse communities,” said Compton College President Keith Curry. Compton Community College District encompasses about 29 square miles, making educational services available to residents of Compton, Lynwood, Paramount and Willowbrook, as well as portions of Athens, Bellflower, Carson, Downey, Dominguez, Lakewood, Long Beach and South Gate.